Brochures used to be tacky and only found in travel agencies and car dealerships. Now they are a legitimate form of marketing and promotion, mainly because design agencies started to put actual effort into making them beautiful. Jen Clark Design is a believer in the power of the brochure. Your company can improve its reputation and secure new clients with a corporate brochure, designed by our graphic design studio. Like flyers or other forms of printed collateral, brochures have a certain mystique about them. You can hold them, so they have a more lasting impact than digital marketing. The fact they are becoming rarer and rarer also makes your target audience more likely to pick them up. We know how to craft a brochure design that will make an impact from the minute they pick up the brochure. Our design fits your purpose; we’re just as comfortable with the crisp and corporate as we are with the daring and artful. We specialise in designing brochures for small businesses, so we know that time and money are a factor. That’s where our tried and trued process comes in. 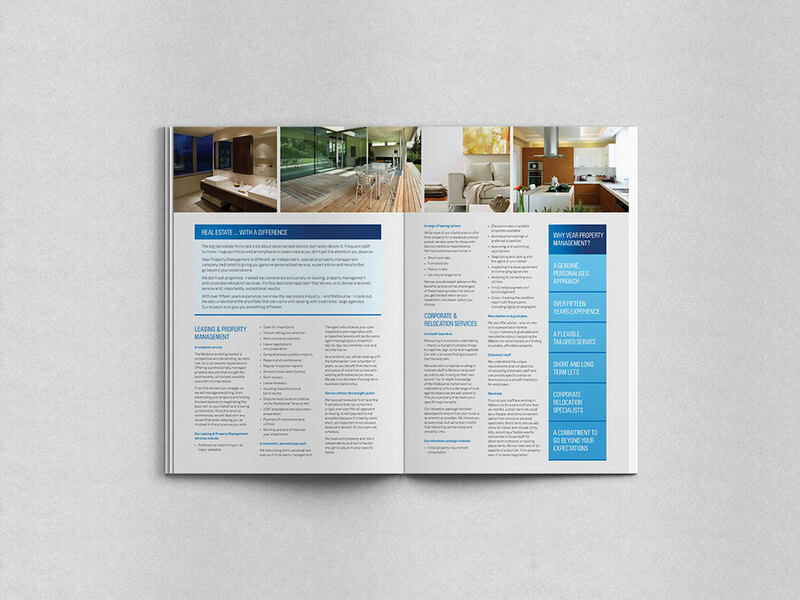 Detailed Project Briefing: A brochure is an encapsulation of your business. It’s a precis of your purpose and your values. We take the time to understand your goals before we begin the design process because that’s the only way to deliver an effective design scheme. Ideation and Research: Your brochure needs to make you stand out and be remembered. By researching your target audience and competitors, we can understand behaviours and trends and deliver on both fronts. Presentation of Concepts: We understand the investment you’ve made with us. That’s why we hold a presentation of our ideas so that you can make suggestions and revisions. Feedback and Revisions: The only thing we’re interested in is delivering an effective brochure that you love. So, nothing goes ahead until you’re happy. Finalisation and Sign Off: When you’re looking at a design that you’re happy to tie your brand to, the project is finished. Supply of Digital Assets and Ongoing Support: We can print your brochures, but we also forward all digital assets for your future use. We then make ourselves available for ongoing support in disseminating the brochures.